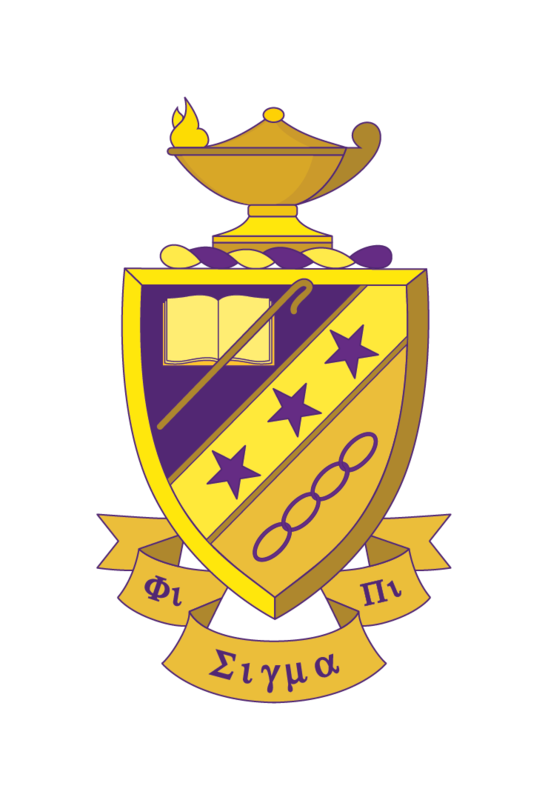 Phi Sigma Pi National Honor Fraternity is a gender-inclusive organization dedicated to: promoting lifelong learning, inspiring Members to lead, and cultivating lasting fraternal bonds, while always conducting our lives with honor. We consecrate ourselves to a life of social service with the goal of improving humanity through our principles: Scholarship, Leadership, and Fellowship. I am a Pilgrim. I come not boldly, but humbly, as I seek to uphold the ideals of Scholarship, Leadership and Fellowship. As a Scholar, I accumulate a breadth of knowledge for the benefit of others. As a Leader, I pursue the finest of achievements with devotion that is unselfish. As a Friend, I cherish thoughts that are kind and deeds that are noble. As a Brother of Phi Sigma Pi, I devote myself to the ideal of social service through the ideals of my order. Though I may become accomplished in my life, I am mindful that I will forever be a Pilgrim on my journey in Phi Sigma Pi. Phi Sigma Pi is built on a Tripod of three ideals: Scholarship, Leadership and Fellowship which support the ultimate goal of social service. This Tripod provides direction in our organization, our programming and in our actions as Members. Combined, the Tripod guides our Members to be successful contributing citizens while at campus and into their professional careers. Our Chapters serve their communities in a variety of ways. 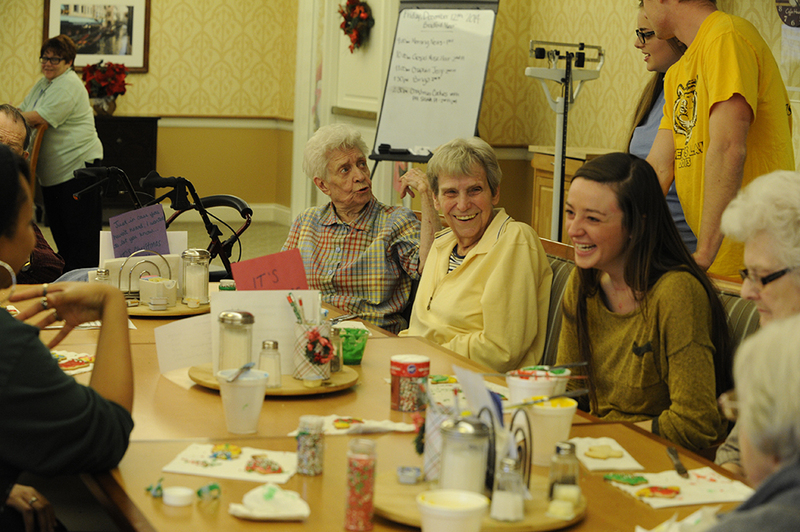 Our Delta Xi Chapter volunteers at a local retirement community. Scholarship: As an honor organization, we expect our Members to maintain good academic standing. Academic standing, however, is just a small part of the scholarship ideal. Scholarship in our organization expands outside the classroom and is a part of a larger “always learning” philosophy. Our Chapters hold scholarship events and can attend National events that encourage the spirit of lifelong learning. Leadership: Phi Sigma Pi provides the opportunity for students to gain core leadership skills to strengthen oneself; but then, just as importantly, how they apply that skill to pay it forward. The nationally award-winning Leadership in Action is a personal/professional leadership training and certification program that provides Members with the skills to inspire a positive change in all facets of the Fraternity and within their communities. This certification program opportunity goes beyond the traditional organization leadership roles by exploring communication skills for emerging leaders and team management. 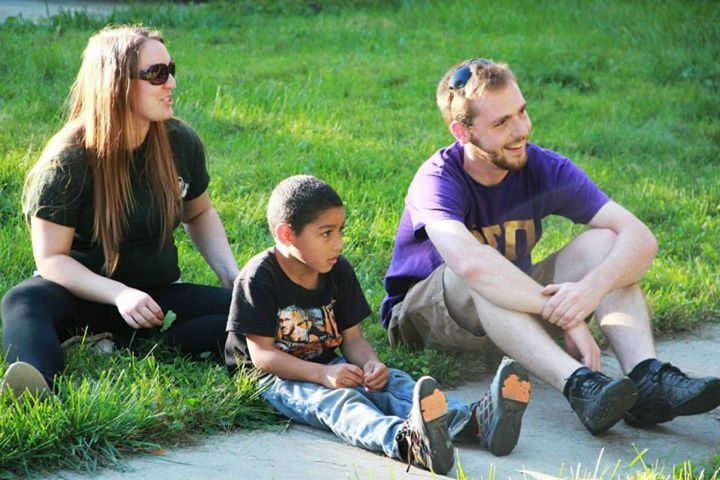 Leadership in Phi Sigma Pi also extends through service in our communities. Our Chapters support our National Philanthropy and also plan philanthropic events with other organizations that have a meaningful impact to the local community such as the Teeter-Totter-A-Thon and Spring Break Service Project. The Beta Sigma Chapter supports the Help a Willing Kid Foundation, their local philanthropy. Fellowship: Phi Sigma Pi develops a culture of fellowship within the organization. In addition to a fraternal culture that develops friendships, it also fosters a sense of teamwork and camaraderie that allows for the local Chapter to plan successful events and activities. In Phi Sigma Pi, you’re a Member for life. Fellowship provides the passion and stability to fully remain involved with Phi Sigma Pi long after you cross the graduation stage. Phi Sigma Pi National Honor Fraternity is committed to improving humanity through our ideals.